Home Blog Education Why your school should lease. Why your school should lease. … And lease them from HardSoft! If your school is in desperate need of some technology updates, but you do not have the budget to cover your requirements why not lease? Actually, even if you have the budget, why not spread the cost and free up some of that cash? With a HardSoft lease, you are not just leasing the technology but our 25yrs of expertise and support. • Whoops, I just told you the first one, release your capital. Why not hold on to those precious funds and spread the cost? Resources for schools are always precious, why not use your budget on a number of things that the school needs and not just on technology. Payment can also be deferred to suit your needs. We are so flexible, we will tailor our products to suit you. There are no hidden costs when leasing with HardSoft and our transparent pricing is available on our website. • You want technology but are so sure how to use it? Time and again we are faced with wanting the latest technology but are let down when we don’t know how to set the technology up. With our continued technical support we will not on set up all of your devices, we will be on the phone to advise and support whenever you need it!! If it is synching your iPads or running a PC network, our technicians can do it all. As a reseller of Apple, HP, Lenovo and many more, our experience will cover your in all eventualities. We are also able to help you with your MDM and roll out. • Did someone say training? Ooooh surely that will be hundreds of pounds?? No, not at all. Our training is FREE. Yes, free. We want you to make the most of your devices, of course we want you to lease more. Let us help your staff (all of them) get up and running on your new devices. Our Education staff will be on hand to offer advice and support through the lease. We help to share ideas for lessons and Apps between our schools. • What if you break it? How about we fix it? There will be no hidden costs, we are happy to collect the devices, fix them and return them- all in a timely manner. Your comprehensive accidental damage cover will be all you need to keep your equipment running as it should. 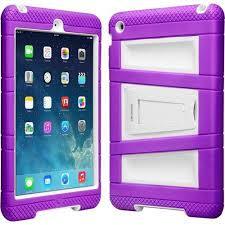 This specialist cover for your devices reduces exposure to schools for damage to iPads. A dropped iPad would be over £150 to repair a screen. We do not charge any excess and did I mention that it was FREE? We will also supply FREE rugged cases with kickstands for all Apple iPads. • We also include a FREE 3 years warranty. Apple devices come with this as standard, but whilst your machine is out of action we will send you a replacement to keep you running smoothly, free of charge. We will collect all faulty products by same day courier to negate any downtime. • Renewal… As so often happens in the world of technology, a newer flashier model of what we have comes on the market. What happens if you want the new stuff before your lease runs out? We can always cancel the lease and take out a new one. You will incur a cost to keep the old devices if you wish to. • Manage any broken, lost or damaged equipment for you As Authorised Resellers for Apple, HP, Dell, Toshiba and many others we can tailor make a solution for your school. HardSoft will supply, configure and train you and your staff on the equipment. We will even include, as standard, a comprehensive Damage Cover and Warranty agreement for the whole 3 year lease. 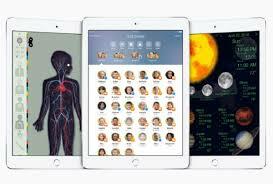 With Apple iPad Air’s starting from just £9 a month you can truly bring forwards tomorrows project to today. To discuss your schools needs call us on 0207 111 1643 on contact us HERE.